Originally published in 1979, this is a dream book with an outstanding difference: it takes the interpretation of dreams out of the realm of the professionals and gives it to the ultimate expert – the dreamer. Working with Dreams stresses the uniqueness of every dream and dreamer. 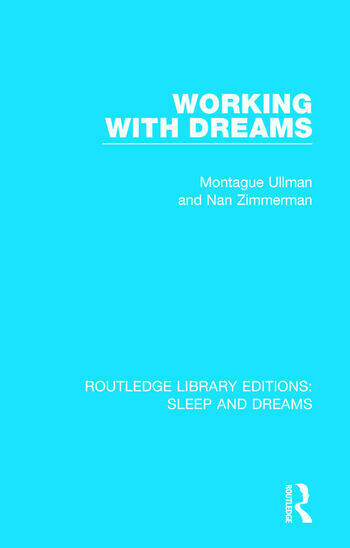 With anecdotes and examples from their own dream groups, the authors show how to deal with the intimacy and honesty of a dream; how to explore its meanings without distorting them; how to let a dream tell us about ourselves and add to our understanding. Dr Ullman and Mrs Zimmerman start with the question of what is in a dream – what is real and what is symbolic? – and then go on to explain what happens during sleep and the way a dream develops. They cover remembering and recording dreams and dealing with the imagery of dreams. They illustrate the many predicaments that dreams depict, the self-deceptions we practice in relation to our dreams, and then show how dream groups – whether a family or a group of strangers – can work together to uncover the meaning of dreams. And they enrich their book by discussing everything from the history of dreams to the possibilities of dreams across space and time. The result is a storehouse of information about the world of dreams. Foreword by Richard M. Jones. Montague Ullman’s Introduction. Nan Zimmerman’s Introduction. 1. What’s in a Dream? 2. A Backward Glance 3. From Freud On 4. Psyche Asleep 5. The Way a Dream Is 6. Guidelines to Dream Work 7. Picturing Our Predicaments 8. Dispelling Self-Deception 9. A Family That Dreamed Together 10. The Dream and Society 11. Dream Appreciation in Public 12. Dreams People Share 13. On the Practical and the Problematic 14. A One-Year Journey 15. Dreaming Across Space and Time 16. Toward a Greater Appreciation of Dreams. Notes. Index.